The signs are everywhere. 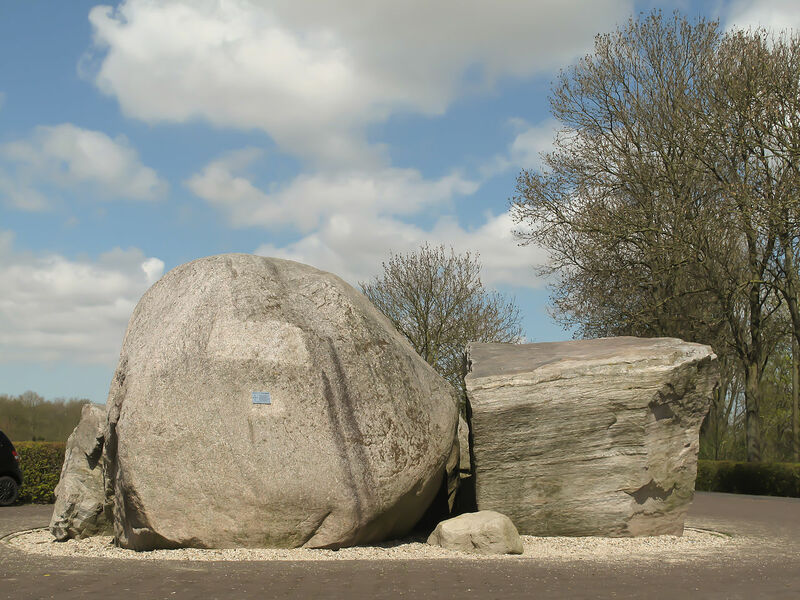 In some places, huge stones are found lying on the land, in a place where no rock exists. In other places, deep scratches in the stony surface, all pointing in one direction. U-shaped valleys are found in hills, a shape which rivers don’t do. To the readers of the landscape, it was obvious that once there had been glaciers, in places where they had no reason to be. Drifting icebergs carried by huge floods were proposed, and this worked in some places but could only explain the erratic stones – not the scratches or the ice erosion. No, the evidence was clear. Where now there was land, once there had been glaciers. Our lands were made by defrosting. This post will try to explain why ice ages occured – and why they stopped. It grew out of a discussion on this blog about CO2 and global warming. Let’s be clear: it is real, and the physics leaves little doubt. But not every climatic event is CO2 related. The ice age was out of its control. There is little volcanic activity in this post – my apologies. If physics is not your forte, forgive me. Perhaps you’ll still find the explanations interesting. Let’s go back in time. 50 million year ago the world was considerably warmer than it is now, by as much as 8C. Antartica was fringed by a subtropical forest. There was no ice, and even the deep oceans were a balmy 15C rather than the 4C they are now. CO2 levels were high, 800ppm, but with excursions as high as 2000ppm. But things began to change. From 40 million year ago, temperatures dropped and CO2 levels declined. Several explanations have been proposed. I consider the most likely the growth of the Himalayas. This caused massive erosion, and the weathering removed CO2 from the air. By 30 million year ago, ice began to form at the poles. The slow cooling continued until 1 million year. Now, temperatures began to plummet. The ice came down from the mountains and the poles. The ice age had begun. The effects were worldwide, not only from the ice. The climate changed everywhere, with many places becoming severely dry. Savannahs grew and deserts expanded. Ice age temperature record, taken from the Vostok ice core. The temperature record shows four major ice ages, separated by warmer interglacials. We are currently in such an interglacial. But in fact the interglacial interruptions are brief. The ice lasts 100,000 year – the interglacial little more than 10,000 year. And the current one is 12,000 year old.. It is also clear that ice ages start slowly, but end suddenly. The warming is abrupt. Why? It has to do with the thickness of the ice. The ice cap may 2 km thick. Temperatures decline with height, so the top is 20C colder than the ice-free land around. The ice doesn’t melt until the top gets above freezing (in summer). Once the melt begins, the height grows less and temperatures get warmer in response, by 1C per 100 meter. The lower it gets, the faster it melts. The ice can go very quickly! On the other hand, the ice grows slowly: it can grow no faster than the amount of snow fall per year. That explains the saw-tooth pattern in the temperatures. It is also notable that interglacials begin warm and slowly cool afterwards: the warmest climate is immediately after the ice has gone. Sea levels responded. During the Eocene, sea levels were perhaps 100 meter above current levels, partly because of the lack of ice and partly because warm water expands. (Interestingly, perhaps a bit ironic, this was discovered by the Exxon Production Research Company, off the coast of New Jersey, and initially considered controversial because their raw data was commercially sensitive and not released.) Sea level dropped by 50 meter 30 million year ago, but overall remained well above current levels. After the depth of the most recent ice age, sea level rose rapidly in two melt water pulses, 13.8 and 11.3 thousand year ago. The rising continued until 6000 year ago, at an average rate of 1 meter per century, for a total rise of 120 meter. After this, it remained largely stable, until around 1900. From 1900, sea level rise resumed, at approximately 1.7 mm/year, and since 1993 it has increased further to 2.8 mm/year. Most of this comes from the warming oceans which causes the water to expand. The graph shows sea level changes as determined from seismological studies, Haq et al. 1987. The smooth curve shows a long-term average, the other curve shows a multitude of faster fluctuations. Time runs from 70 million year ago to present, sea level is from +250 to -100 meter. Later studies have suggested that the amplitudes were a bit overestimated. is roughly 1 Kelvin. 1K change is the same as 1C, so the Earth’s temperature changes by 1C. Another way to look at it (bear with me!) is by considering the thickness of the thermally insulating atmosphere layer. Radiation from the Earth escapes from 7km altitude. The layer increases by 1%, or 70 m, by a 40ppm change in CO2. The temperature gradient in the atmosphere at that height is 1C per 100 meter, so a 70 meter increase gives a 0.7C warming at the surface. The two estimates are in good agreement, although I should say that it is only an estimate. Modeling is needed to get the accurate numbers – but they will not be wildly different from this calculation. In reality, temperatures during the ice age changed by an incredible 10C. CO2 played a minor part, but what was the major player? It shouldn’t surprise you to hear that ice ages are governed by ice. Ice reflects. It is blindingly white. Water and rock absorbs, but snow and ice reflect. So during an ice age, the Earth keeps hold of less of the Sun’s energy. The ice itself keeps the Earth cold. And removing it makes the Earth warmer. There are two stable possibilities where the Earth is in equilibrium (with current or pre-industrial CO2 levels, I should say): one where the ice covers much of the north, and a much warmer world where the ice is only at polar latitudes. This explains the rapid alternation between ice age and interglacial. As in other bi-stable systems, things can change fast from one to the other. But what triggers the change from one to the other? Who decides when an ice age should start and end? The answer was found a century ago by several people, of whom the Serbian Milankovitch gave the most comprehensive answer. It is a slow cycle in the Earth’s orbit. Did you ever wonder what happened to the missing two days of February? Why does winter have fewer days than summer? It is because the Earth’s orbit around the Sun isn’t a perfect circle. It is an ellipse, which is about 3.5% closer to the Sun at the closest approach. And this happens in January. Being closer to the Sun, the Earth travels a bit faster, and therefore the seasons pass a little quicker. By 2 days, to be precise. We also receive a bit more energy because we are closer the Sun. Sadly that doesn’t help the UK very much: it is winter and the Sun is very low in the sky. There isn’t much solar energy to begin with, and a few per cent extra makes little difference. It is different in the southern hemisphere: here it is summer and they get a lot more energy from the Sun. The northern summer is when we are furthest from the Sun, and we are not as warm as we should be. As usual, the north loses out. 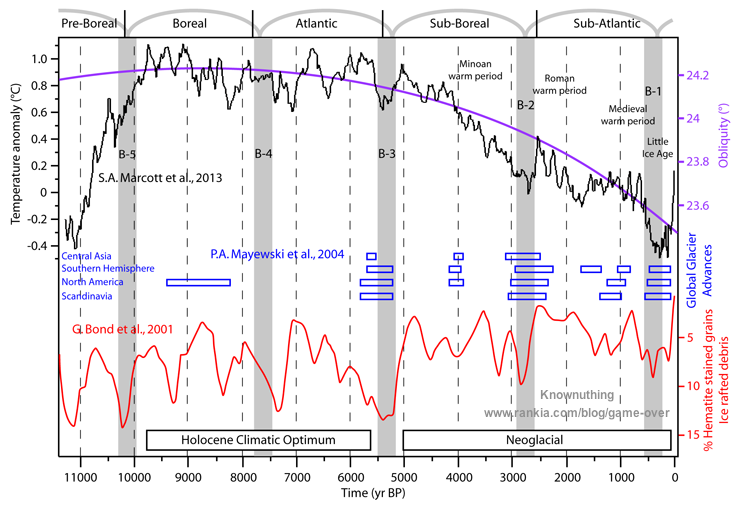 Sunlight in the north, from the Milankovitch cycle (black line) and ice age temperatures (purple).The relation is very good. But this is not for ever. The point of closest approach moves slowly through the seasons, making a complete cycle every 26,000 year. In 13,000 year, we will be closest to the Sun in July, and the north will have the balmy summers. And 13,000 year ago, this balmy weather ended the ice age. Summers became warm enough to begin the ice melt. Once it began, it went fast and within a few thousand years, the warm interglacial had started. But ever since, the cycle has become less favourable and the climate slowly cooled again. By 1900, it was 1C cooler than it was 8000 year ago. At the coldest point (in the north!) of the Milankovitch cycle, ice begins to grow, sunlight is reflected, and cooling gets stronger. The ice is coming. Ice ages begin when the Milankovitch cycle cools the north, and it ends during the warmest point of the cycle. The agreement between the cycles and the ice ages is excellent. Who is to blame for the ice age? It is the Earth. Why does the cycle not work in the south? It is because there is not enough land there. Only Chile is in the danger zone, and it isn’t large enough to drive an ice age. Canada is. Volcanoes are active participants in the cycle of the ice ages. It has been known for a long time that there were considerable fewer major eruptions during the ice age, and a spike in eruptions soon after. Why? Part of the reason is in the ice: the weight of kilometers of ice prevents melt in the magma. Once the ice goes, the reduction in weight allows for decompression melt. And the world erupts. The second reason is erosion: the melt water causes extreme erosion, as much as 1 meter per year. The loss of rock has the same effect as the loss of ice, but rock weighs a lot more. This is the second reason for decompression melt. Volcanoes like the end of the ice age. They have also been implicated in starting one. This is controversial, but there were several large eruptions in (fairly) quick succession at the start of the Little Ice Age. Some models suggest their combined effect allowed enough sea ice to build up to kick start the Little Ice Age. I have some doubts. The Little Ice Age would have come anyway. It was time. 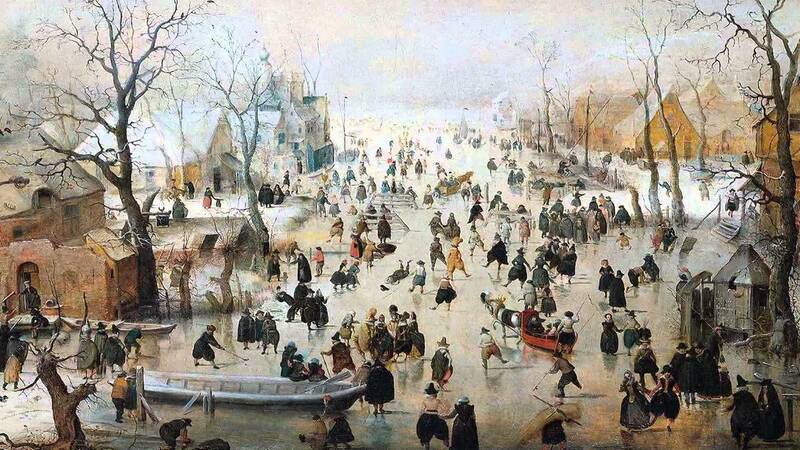 The Liitle Ice Age is well known from paintings of happy winterscapes, with frost fairs and ice skating on rivers. It was real enough, with some dramatically cold winters and mixed summers. But when was it? Some say the 16th and 17th centuries. Others give earlier times. In America it is typically said to have lasted until 1850. Looking at the temperature records, it started as early as 1275, and indeed lasted well unto the late 19th century. This was not a brief excursion. Glaciers expanded worldwide, and in fact reached their longest length since the ice age. Extreme winters include that of 1709 (the ‘great frost’) but there were many others. Perhaps even the famous winters of 1947 and 1963 were part of it. Perhaps it ended only with the German snow catastrophe of 1979. Greenland died. Iceland became surrounded by ice. How significant the Little Ice Age was has only slowly become apparent. On Baffin Island, in the north of Canada, the rocky and barren landscape is covered with lichens. There is ice on the hills. But in a large area around the hills, at low levels, old lichens are absent and even older ones are dead. Lichen can survive many things, but not year-round snow cover. Apparently, this area had permanent snow cover. And dating the lichens show this happened only a few hundred years ago. Why is this important? This is the area where ice ages start. The glaciers first begin to grow here, in north Canada. And here, snow became permanent during the Little Ice Age. We were at the brink. The ice was on the move. The Little Ice Age was not little at all. It was the beginning of the real ice age: the big one had begun, sneakingly. where no one was looking. The growing glaciers in the mountains should have been a warning sign. So what stopped the ice age? It seems, it was us, and it was the industrial revolution. Our emissions turned around the global cooling. We were still close to the critical climate point, and only a little warming -at first- was enough. CO2, a minor player during the ice age, took control. It warmed the world by just enough to stop the ice. I do not subscribe to the opinion that all CO2 is bad. We have warmed the Earth back to temperatures that existed 8000 year ago. That is not a bad thing! Some places are negatively affected, but the effects of a not-so-little ice age would have been much worse. However, and something I feel strongly about, this would be a good place to stop. Further warming would be detrimental. The Greenland and West Antarctica are beginning to destabilise. Each will cause sea level rise of 5-7 meter. Up to 1 meter of sea level rise (probably a bit less – perhaps 80 cm) is already inevitable. The UK had sea flooding a few weeks ago, at a time the tides weren’t that extreme. The relatively small rise we have had so far is beginning to bite. It is time to cash in our bets, now that we have won the Earth. And without volcanic help. Interesting! If the Industrial Revolution had never happened, how would the climate today be compared to what it actually is? The nature of a thing is the essence of a thing. Of course we can only speculate. But I think we would have some interesting winters. In 1947, our local train station was under meters of snow and it took the army to dig out the train. Now we get a few flakes once a year. The change is immense, and however much I like snow, it should be limited. I think you should look at the climate a few hundred kilometers north of where you are (if northern hemisphere!). That could have been you. There have been many little ice-ages over the last 8000 years. Human emissions of CO2 didn’t stop the others from becoming full ice-ages. I think we have to look much deeper into the dynamics of our solar system to understand why the sun’s changes in magnetic strength affect climatic conditions on Earth and the other planets. No. There has been nothing like the Little Ice age since the Younger Dryas. The dynamics of the Solar System is well understood and has been for centuries. The influence of solar activity on Earth’s climate is either very small or zero. We thought in the past that the Little Ice Age was related to the Maunder minimum of solar activity, but no longer. The cold started long before and lasted until long after. I think you meant to write, “The influence [in normal fluctuations] of solar activity…” or something else along those lines. The way it reads seems to imply we don’t need a sun for a favorable climate!!! 🙂 I am fairly certain that if the sun reduced output by 30% no amount of industrial revolution would keep an ice age at bay; inversely, an increase of 30% would account for a worldwide steam bath. As always, an awesome article. Thank you muchly, fine sir. Albert, concerning the LIA, was it ever explained by 1998 Mann et al/East Anglia WHY they did not want to include it in their paleoclimatic reconstructions? The “hide the decline ™” moment, as well as the “Mike’s Nature trick ™”, are the larger reasons why so many of AGW theory critics (myself included) question the “A” portion of the theory. For something proclaimed so dire and so important, why hide or trick-manipulate your data [“your’ = Mann et al/East Anglia] – and – then not provide your raw data for public scrutiny; you only stand to lose credibility. It appears that you are hiding something, you believe the hay-seed public too stupid to understand, or both. As they say in politics, BAD optics. Honestly, I would be just as critical of physics if “97% of scientists agree” that the Universe is expanding, yet none of them ever gave us their mathematical proofs or observational evidence supporting it. …And, anyone would be justified in that critique. Not sure that your criticism is justified. Regarding the LIA, they reconstructed global temperatures back to 1400. But the LIA goes back further than that, so what you are asking is why they didn’t compare to earlier temperatures. How could they? Their data set did not cover earlier times, so it would have invalidated their analysis. In science, you set your problem, solve it, and make a prediction. Testing the prediction (which is effectively what you are asking about) should be done by other people with different data sets. Otherwise you run into methodological problems. This is how science progresses. You also ask why they did not make their data public. As far as I can see, they did. All the data records are cited, and the web site contains all master data they used. You probably could rerun their analysis if you want. I don’t think you should: the paper is 20 years old and we have made progress since. We probably also have better records now for the older times. I think the importance of the LIA has become clear only after this paper. There is still a lot of discussion, but it is now clear it is part of the overall slow cooling since the 8000 year ago. That wasn’t clear in 1998. In 1998, the main discussion still was whether the Earth was warming at all. This was the time the big studies were published showing that birds were nesting earlier. I think the paper fits into that discussion. Their conclusion of warning since the 1950’s has survived: that prediction has been confirmed. The next phase in that discussion was from the cold winter of 2003, when people started discussing whether the global warming had stopped. That prediction has been proven wrong – global warming did continue. And so science progresses. What has changed that some of the discussion has gone nasty. I am happy with the robust but respectful discussions here. But there is also a group who responds to any global-warming science with abuse. That can cause trench mentality among the abused. Quoting from the above article the effect of the Industrial Revolution is cited based on data from Japan and Sweden – ‘This week (April 26), American and Japanese scientists published a paper in Nature in which they analyzed the Japanese data alongside data on the freezing dates of the Torne River, which runs through Sweden and Finland. “What is important about the two ice records analyzed in this paper is that they were recorded far into the past and included years before and after the start of the Industrial Revolution,” says John Magnuson, who led the study. The Torne data goes back to the 17th century, when a merchant named Olof Ahlom started keeping records in 1693 of when the river began to melt. The river was important for trade, so local merchants continued to record the dates of ice break up each winter. The tradition continues today, with competitions in which people bet on when the date and time the ice will first begin to melt. Very interesting! You could call this citizen science. People can collect valuable data. Before the invention of the thermometer, the main useable bit of information relates to whether it was below or above freezing. It is hard to convert ‘a chilly day’ to an actual temperature, but the number of days with snow 500 year or ago is easy to compare with current conditions. Maunder minimum was just one period of several cycles with very few sunspots. There were others. Little Ice age started around 1275 when Oort minimum was occuring. 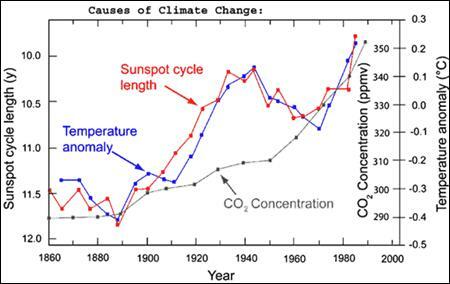 In fact, solar radiation decreased ever since until it increased again in 1850. It correlates well with climate. 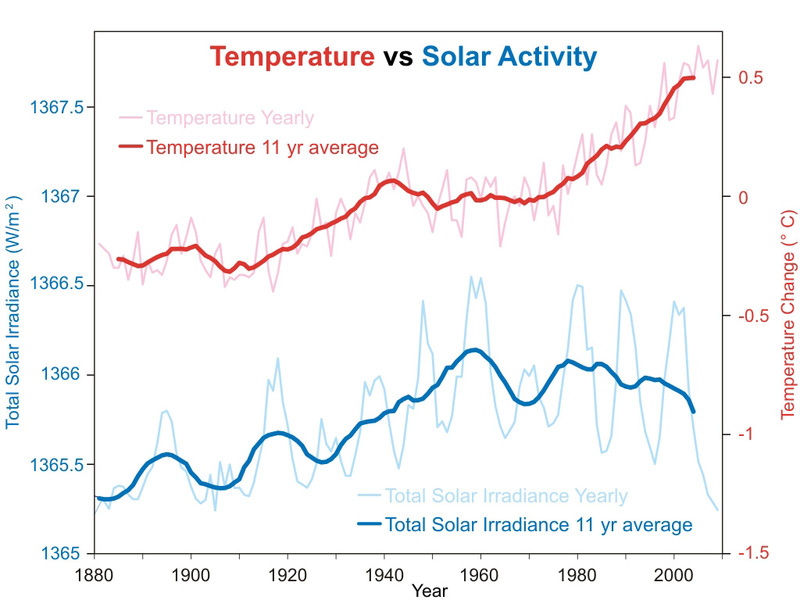 Except in recent decades, where solar radiation has decreased and climate warming is faster. I think human forcing (CO2) only became larger than solar forcing around the 1960s. ‘Actvity’ was meant to describe the variations in flares/sunspots/CME’s, not the regular outpuit. Of course the continuous, stable sunshine keeps us alive. For what is effectively a fusion bomb, the Sun is remarkably stable. Have never seen this before a lava fire hose . Thanks Albert for most interesting post. If now volcanos awake when ice pressure let go, what change are they making? Slowing the warming by SO2 release or increasing it by CO2 release? Good question! Sulphate cools but doesn’t last. It drops out of the upper atmosphere in 2-3 years (Lurking has posted on this). So the cooling is short-lived. Even the worst eruption, in 540, cooled us for only a decade. CO2 lasts much longer. The net effect of volcanoes is warming. In fact, the increase in CO2 after the ice age has been suggested to be caused by volcanoes. But two things to note: (1) most volcanic CO2 comes from outgassing of non-erupting volcanoes, and it pretty much constant over time; (2) we emit 20 times more than volcanoes do.. Volcanoes warm but not by very much. This has been different in the past. The Permian extinction was a greenhouse catastrophe driven by the massive Siberian Traps eruption. So it depends on how long and intensive the increased eruption frequency would be. If it is high enough it can continuously pump out a lot of SO2 and keep that level high for many decades or more, then it could perhaps make difference? As I understand from your post, it is a delicate balance that easaly could flip.. Yes, that was effectively the argument of the scientists who proposed that the Little Ice Age was kicked off by the four eruptions. In my opinion, these were too long apart. Climate may look stable but it has inherent instabilities, as any bi-stable system. Or tri-stable, for you could argue that the fully ice-free world of the Eocene was another stable ‘mode’. I think of it as roulette: once the ball is in a hole, it stays there. But you can’t easily predict which hole it will end up in. A decades-long eruption would try to push the climate out of its current hole, with a risk it would end up in a different, perhaps less desirable hole. Bjarki below makes kind of the same point. The Vostok ice core graph is not very reassuring. if you compare the width of the current spike to the previous ones, we are headed towards another ice age soon. Not sure that you can rely on our current output of CO2 to delay it. This is text from an email that I had sent from 2013 and this post seems a very appropriate location to bring it back up. “As I have been following the blog from before it’s current form I have watch as the community has quickly debunked many of “end of the world” projections that a super volcano would dramatically alter the climate. These discussions have been very educational and enjoyable to follow along. However a different thought has been banging around in my head that I don’t have the time to research personally. In reading the eruptive histories of many of the volcanoes in Iceland and elsewhere, we seem to be in very quiet time volcanically speaking. Could it be possible that this dearth of medium sized volcanoes is causing a slow change to atmospheric chemistry and the drop of the spreading of nutrient rich ash and sulfur into the oceans and large water sheds that would otherwise support large algae blooms leading to real sequester of carbon via deep ocean sedimentation or supporting other life leading to formation of limestone. More simply put. How much of the recent rise in CO2 and global rise in temperature be the result of apparent drop of frequency of medium to large eruptions. Again thanks to all that put so much effort into this blog. The world is currently (or was last month) 0.02°c warmer then just after the last big peak ie, the ’97 el nino. There is a 0.1°c margin of error allowed for global temp. Temperature is recorded regularly on 15% of our planets surface, long term temperature fluctuations affect different parts of the world at different times. We cannot really know what the global temperature is (unless you want to use Dr. Cristies satelite data). Last month had an average temperature of 0.25 degree above the 1998 maximum, not 0.02C. We agree on the 0.1C degree uncertainty, so 0.25C is clearly beyond that. 2016 showed a peak at 0.65C above that 1998 peak. That is a fair comparison since both were strong El Nino years. With 0.1C uncertainty, we can agree that this is convincing. We just had the three hottest years on record. In the NOAA data, 1998 (which at the time was the warmest year ever) is now ranked number 8. 14 of the 15 warmest years on record have been since 2000. Welcome to the 21st century. Albert, 2016 was not just hot, was crazy in some ways. The melting in the Arctic in November. Anomalies of +20°C! Svalbard around +5°C when averages are -15°C. In Portugal, where I am from, we record a maxima of 44°C in August by sea side. Which was totally unthinkable (previous record around 41°C). This was just one example. Records were smashed in many places worldwide. I appreciate your article Albert, but I’m still not convinced it is man alone causing it. We may play a small part in it. After all we are a part of this planet, but Industrial Revolution was not here ages ago. Over the years this planet has went thru ice ages and warming. It will continue to do so. I think we should be cautious in what we do. Let us not forget history has shown sometimes great harm can be caused by thinking we are doing good. In the 1970’s I remember we were told we’re heading into an ice age. Some Scientists & Climatologists wanted to pour black soot over the Arctic ice cap to cause it to melt or divert arctic rivers. We need to be careful there are those who would like to control people by using what comes natural. I believe the EPA here has gotten out of control. Your article is excellent and naturally I agree with all the explanations there. But one thing is missing. Solar output. During the little ice age, there were several solar activity minima. These correlate extremely well with the coldest periods of the little ice age. Let´s go one by one. Around 1275, ice began to grow back again. Around this time we have the Oort minima, a period without sunspots. The climate cooled rapidly, and by 1317, a massive wave of cold summers triggered the largest famine ever recorded in recent millenia, the Great Famine. Summers were cold and grain crops failed. It was a massive disaster. Solar activity continued to decline by then, and further minima occurred, deeper ones even. Sporer minima in 1450-1550, and then the more famous Maunder minima, in 1645-1715, which correlated with the coldest period of the Little Ice age. Especially around 1670-1700, climate was so cold, that Frost Fairs occurred every few years. It must have been cold! The coldest winters of 1684 and 1709 were around this time! Solar activity only increased around 1850, and this is correlated with the climate warming. Of course, we know that human activity played a large role, curiously at exactly the same time. So, as of recently, in 2010, a period with as little solar activity as during the Little Ice age occurred, but nevertheless, the climate is much warmer. Why? CO2. Otherwise, we would be in another cold spell of the little ice age. In fact, solar activity has been declining since the 1950s, so actually, I think 1963 was another attempt of the climate to respond to the solar forcing, however, as industrial production got significantly larger in the 1960s, that effect was deleted. Now, don´t get me wrong. I think, orbital cycles play a role, as well as positive feedback from ice albedo. Naturally, as cycles push towards colder summers, we have a tendency to cool the climate in the Northern hemisphere, and when solar minima occurs, this develops then very quickly. However, CO2 plays the role of a greenhouse gas. So, with high concentrations, the solar radiation on Earth will be kept stuck, and the climate will warm much more than the forcing of orbital changes or solar activity. I know the arguments but when looked at the data myself, came back unconvinced. The relation between temperatures and proxies of solar activities wasn’t strong enough. This together with the lack of physical mechanism (cloud cover has been suggested but it is a very handwaving argument) left me in doubt. It is an area of active discussion. Even if there is some relation, it has stopped working: the past few years the sun has had the weakest solar maximum for a long time (100 year?) and the temperatures are at record levels.. I suggest a funny experiment. Have two Earth planets. Decrease current solar radiation levels by 2% after 2017 and lasting for 5000 years. In first Earth keep CO2 levels at 300ppm for the entire period, and in second Earth keep CO2 levels at 1500 ppm, for the entire period. Measure global temperature after 10 years, 100 years and 1000 years. What do you see? I suggest another experiment. Have the same two Earth planets. Keep solar radiation at current levels, for the next 5000 years. Keep one Earth at 300ppm, and another at 1500ppm. Check temperatures at 10, 100 and 1000 years. What do you see? And in a last experiment. Repeat the past experiment, but prior to start the experiment, completely revert deforestation and cover the two Earths with vegetation to the levels existing some 2000 years ago. Keep one Earth at 300ppm and another at 1500ppm. Measure temperature after 10, 100 and 1000 years, and what do you see? Sure it does. 42 is tge coding for *, and that is the “match everything” chapter from a command prompt. So, the ultimate answer is “everything”. Trying to match everything at once froze my planet.. Eventually after we are passed this craziness of whether or not climate warming exists or can be done, eventually a new debate, will happen in the future. That debate will be even more serious and difficult than the current debate! Whether global climate should be controlled (technologies exist for this). And if so, what rules should be placed? Do we want to pump a controlled amount of CO2? Do we want to reforest the planet? Do we want to spread SO2 in the atmosphere to cool it, or CO2 to warm it? If ice melts, do we want to relocate cities build by seaside (it was never a good long-term idea to have built them there)? Do we want to reforest the large areas of deserts of Earth to change its albedo? Do we want to seed the oceans to change CO2 levels? More difficult: if climate control is established, which climate do we want to force? Is it too warm for India or too cold for Russia? Is this even desirable? Can we discuss it? Perhaps Russia and Canada want a temperate climate, and tropical countries and India want a relatively mild climate too, not too warm or dry? Is this possible? I can only foresee such scenario with controlled CO2 levels and massive reforestation, to keep climate in a strong balanced state. But this also creates sea level rise. Messing around with a very complex system we not nearly fully understand has always been a dreadful idea. So even if one does not believe in every theory or climate change in general, THIS would be the perfect argument to at least try to diminish the release of climate gases. PS: Dear Albert, again thanks for a great article! Thanks for your article Albert. Interesting subject that concerns us all. At the end I agree with your conclusions, but must say I find part of the article a bit jumpy, to many facts explained briefly or links are missing. I’ll put up few remarks/questions. The Vostok temperature records do show a pattern with short interglacials. Quick raise of temperature, just a little slower lowering that ends the short lived interglacial. About 75% of the temp drop is occuring rather fast, after that, with up and downs, it lowers to the minimum and that takes a far longer time. The explanation you give about melting and ice forming confuses me. Forming of landicesheets will definite follow other rules than mountainglaciers. Accumulation of snow may occur in a large area. So in a humid cold climate, a very large fast expanding, continentwide ice sheet may have been in excistence. Flow of ice is ofcourse one of the results of differences in growing thickness (more/less snow, higher/lower temperatures) in the icesheet. But was the flow resulting in an expanding icemass or did the icesheet form in the rather short time? I think the conclusion the sawtooth pattern is the result of relative small amount of snowfall is dubious. Conditions of snowfall can occur continent wide. Temperature did drop quite fast. 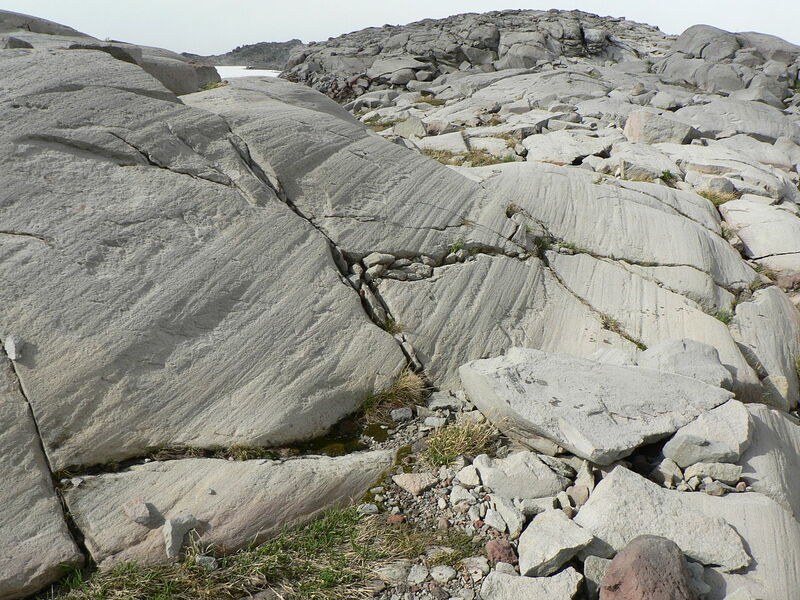 Forming of flat icesheets may have formed continent wide fast too? I am not doubting ice flow, but it may have occured in a later stadium of the icy periods. Would the sun be the largest, overruling factor in the subject ice age? Good questions. Glacier growth definitely has uncertainties. A humid climate may have 1 meter of rain per year. (That is a high estimate for cold climates!). If it all falls as snow, it would be 10 meter of snow, which compresses back into a little over 1 meter when it becomes ice. That means it takes 2000 year at minimum to grow a 2km-thick glacier. But that is a heavy underestimate. Cold air is dry, and so once temperatures fall far below freezing the annual snow fall reduces – severely. A better estimate is 20,000 year. Ice will flow and can reach places where it didn’t form. It still has to form somewhere. But there may be places where the growth can be much faster. Melting can go very fast, although again dependence on the environment. The fastest temperature drop was in the Younger Dryas, believed to be related to massive release of melt water. It went from warm to deep ice age with 50 year, perhaps much faster. Once the Earth had cooled enough to make ice ages possible, the main governing factor became, I think, the Milankovitch cycles (which may be what you mean with ‘the Sun’). Over the past 50 years, it is CO2. One can argue about when it changed from one to the other. I’d like to add my own observation that the Fohn effect is an effective, major driver of glacier formation as the earth slips into ice age. Wet, humid airstreams chill and dump their water as they pass from the sea into mountains. As ice-age conditions develop, this water dump turns to snow. It is not a case of 2km thick ice sheets being cause by snow on plains. It is a case of the Fohn effect, increased ice accumulation in mountains, and the resulting spread of ice as it flows from mountains to make low land ice sheets. Western Antarctica is a prime example of this process, even to the point of the ice extending out as shelves over the sea. Once you get advancing ice sheets over lowland, snow accumulation will build upon them. Always, an ice age will start in the mountains and at the poles. Albert and Clive, there is very good evidence in Iceland. After 6000BC to around 3000BC, Iceland was supposedly ice-free. At least that´s the data from geological studies in Iceland. Then the ice caps build themselves, up to 1km thick (average 400 meters thick in Vatnajokull) over the past 5000 years. So ice cap formation can occur within a few millenia. And at current rate ice caps in Iceland will melt away by 2150. That´s within 200 years. And it can even faster, if climate warming accelerates. I’ve read an interesting theory (partly discussed here: https://www.scientificamerican.com/article/mass-deaths-in-americas-start-new-co2-epoch/) that connects the little ice age to 1. the smallpox epidemic in Europe in the late 1300’s, and 2. Massive deadly epidemics in post-1492 north & south america, plus colonial disruptions in Africa. The depopulated lands started growing trees, removing carbon from the atmosphere. The short version of the ruddiman hypothesis: By several thousand years ago, land use changes had caused the CO2 trajectory to diverge by about 40 ppm from the expected slow decline from the interglacial maximum, preventing the start of an ice age. Didn’t Genghis Khan have a similar effect on the world? I seem to recall having read/heard that he was comparable to Eyjafjallajökull, as in Eyjafjallajökull being co2 negative as it grounded so many flights, while Genghis killed an absolute staggering amount of people, thus preventing co2 emmissions and encouraging forests to grow again. Yes, I am aware of those ideas. Regarding the effect of the black death on the little ice age, to me that is unproven. It is not impossible there was some effect but the cooling started well before the events, and in fact one can argue that the cooling helped prepare the way for the epidemics. For the earlier holocene climate stabilization, that has been argued but it is hard to proof that a lack of cooling is due to warming – there is no control experiment. Hansen has argued that methane levels from the development of rice growing in southeast Asia stopped the cooling. Again, that would need some solid data and at the moment is speculative. My feeling is that there was cooling, as would be expected, it did lead to the little ice age, as would be expected at the end of an interglacial, so there isn’t really a problem that needs solving. Doesn’t mean there was no human influence even at that time, but the case is not strong. In my opinion, we became a minor influence on cimate from about 1700, and the dominant influence from about 1980. In this regard we could have become a minor influence in the climate several millenia ago (but unable to stop the little ice age), and an increasing larger influence since 1850, becoming a major influence after 1980. Good post by Albert as always. I will just drop these 3 graphs. The upper panel shows the air temperature at the summit of the Greenland Ice Sheet, reconstructed by Alley (2000) from GISP2 ice core data. The time scale shows years before modern time. The rapid temperature rise to the left indicate the final part of the even more pronounced temperature increase following the last ice age. The temperature scale at the right hand side of the upper panel suggests a very approximate comparison with the global average temperature. The GISP2 record ends around 1854, and the two graphs therefore end here. There has since been temperature increase to about the same level as during the Medieval Warm Period and to about 395-400 ppm for CO2. The small reddish bar in the lower right indicate the extension of the longest global temperature record (since 1850), based on meteorological observations (HadCRUT3). The lower panel shows the past atmospheric CO2 content, as found from the EPICA Dome C Ice Core in the Antarctic (Monnin et al. 2004). The Dome C atmospheric CO2 record ends in the year 1777. And speaking of datasets, the one I like to use the most, is the high resolution CFSR from NCEP, which acquires data with the CDAS (Climate Data Assimilation System), and uses full range of inputs, from stations and satellites, etc, with quality control. i was never too fond of the very coarse low resolution NOAA datasets. We do see a small decrease from 02/03 onwards, going lowest in 11/12 after the strong La Nina, and rising back up, and the noticeable 2016 El Nino spike. After 1998, we did hit a warm “plateau” which is why we can hit and break temperature records, without the global temperature further increasing, or “pausing” if you wish to call it that way. where we will go from here onward is an interesting call to make. I am more of a believer in natural cycles than pure man effect. I do accept the theories of man influence on the climate, but I take it with a fine balance with natural variability. Weather and climate are a state of chaos, and there is no magic bullet that makes or brakes everything. Everything can or does influence everything. It is a fine tuned system, that has natural regulation, one way or another, we just might not always like the way nature regulates or corrects itself. But climate in general always tends towards equilibrium which it can never achieve, and which is why we have storms and hurricanes and so on. And this is a temperature anomaly time series, comparing the tropical temperature to the global mean time series. The tropics have the spike due to the strong positive anomalies of the El Nino, which also affected global temperature anomalies, not just due to auto correlation (since the global analysis also includes the tropics obviously), but also by means of affecting the weather patterns and poleward temperature transport. For the rihgt interpret: the second graph. The most right part has a different temperature scale? Thanks! I haven’t looked much at this model. It is a model that has a CO2 increase build in (so a somewhat circular argument if you want to use it for or against global warming – the warming is build in). If I understand it right the 2-meter data is not actually data but obtained by creating an atmosphere models which fits other available observations, is that correct? The group themselves never plot the global 2-meter model data, and warn in the paper that they don’t understand the sea-based part as well (which I guess is where there are no 2-meter-high observations to compare with – hard to define this height above a wavy sea anyway). They do plot the land-based numbers, which show the usual 0.6C increase. Do you know more about how it is assembled? It is very hard to find detailed information. Actually the graph is very interesting. And it fits what you say, that climate tries to get in equilibrium always. From what I see in the graph, there was a state of rather stable climate at around -0.2°C between 1980 and 2000, which was itself warmer than most of the 20th century. That plateau did not seem to show a rising or cooling trend, just stable. Then, the climate shifted around 2000 to a new plateau, around +0.2°C. And again similar to what was seen between 1980 and 2000. I would suggest that climate temperature will keep increasing this way, in plateau separated by sudden shifts. Perhaps next plateau will stay around the temperature levels of 2016, around +0.4°C, until a new shift. Albert, I think the relation between solar activity and temperature is pretty good. I dont understand why you say you were not convinced. But I agree with you in one thing: that after mid 20th century, the solar activity was not correlated more with the temperature, and that is due only one larger overridding factor: human activity (CO2). But before, the correlation was good, at least during the past decades and centuries, before CO2 levels became too high. Just because we agree with CO2-temperature link, it does not mean we need to be skeptic about other factors affecting temperature. Increased solar activity is correlated to increased solar radiation. And increased solar radiation increases temperature. The relation was very good until about 1980, when solar activity declined and temperature kept rising. A clear sign that CO2 levels were too high. This is the correlation dating back to Maunder minimum. Again the correlation is strong! Some correlation between solar activity and temperature can also be seen, back during the entire extent of the Holocene. Though of course CO2 levels currently have disrupted this correlation. It´s not a perfect correlation, but there seems to be a significant influence of solar radiation affecting Earth´s climate. The thing I looked at was the correlation between the Maunder minimum and the climate minima (see the solar proxy figure that you give). There is a rough agreement, but it the problem is there are quite a few cycles in the climate and there is high chance of a coincidence. So you look for detailed relations. And they weren’t there. I came away from that research utterly unconvinced. Same is true of the other plots you show, at least to me. The solar cycle length versus temperature is interesting but that length is not related to the strength of the solar cycle. Long length can mean a weak cycle or a strong cycle, or just an average one. So what precisely is it that this plot shows? The plot of angular momentum is not science. It plots something silly regarding the position of Jupiter on the sky. Useful at best for astrology. I agree. For me the production of so much ice so quickly does not come well from the projected mechanisms, any of them. To be honest the only thing I can see that could have such a sudden and dramatic effect would be a switch in climatic systems. As an example if an ice-free arctic allowed the gulf stream to get to the arctic ocean and keep it ice-free over winter then the global heat loss would be astronomic. Combine that with thick snow deposition in mid-high latitudes that significantly reflect incoming solar radiation and you could have a new stable weather system. The gulf stream then becoming a river to the north, then cooling and returning at low level, removing it from western europe. Weather systems have the ability to switch quite rapidly (months) and even oceanic movements can happen over quite short periods (months to years) if you consider mass and energy transfer required. Atmospheric systems are by definition somewhat transient and fickle, but oceanic circulation is much more stable. My compliments to all, and especially Albert for this most invigorating discussion on climatic cause/effect….both real and theoretical. The data presented has been outstanding…of which a good deal I had not seen before. As for a volcano related tidbit, HVO is reporting a large crack just east of the Kamokuna ocean entry has doubled in size in a little over a day…and there are obvious signs that as much as 100′ of cliff is getting ready to collapse into the Pacific. If a collapse of the cliff wall were to happen, huge and probably damaging waves would likely be created as well exposing more of the lava feeder tube….which turn may lead to more explosivity. Given the inherent instability of the strata, I can see where the concern is. Here’s the HVO link. Sorry. Watching more footage on the lava pipeline. I wouldn’t want to be any where near that thing. what happens when the cliff goes? This is not a joy ride…. Photos of the widened crack into the sea. Enjoying this series of posts, btw..
Another quake in Italy. Not as strong this time so hopefully it is now petering out. A new project I am working on. Will try to plot quake data for Katla in 3D, for 2014, 2015 and 2016 (and present). This is now in experiment phase. Might also do Bardarbunga or whole Vatnajokull once I finish the Katla project. it is not so hard once I code the quake list. I have a system where I can easily add new quake data. Creating 3D outlines is a bit trickier and coding colours and sizes, but once I make a new template, like for Vatnajokull, adding quakes later is not so hard. Andrew, these are great, thank you. Is there any chance they can be embedded into a website for end user rotation and other settings turned off/on or does your modelling software not permit that? Sadly no. I can make individual plots and animations, but I cannot embed it into a website for example. Ok, no worries, I’d love to see the animations of the various years as you progress your project. As much as I love IanF’s map plots of historic data in Carto, the 3D aspect really helps visualise the various intrusions. I’m currently working on some detailed maps of Iceland to include the various volcanic features. Would you be interested in using them as the top ‘sheet’ or would the 3D topography element of your plots prevent this? To be honest Andrew, I wouldn’t have the time to convert them from a flat PNG to one of the gridded formats, but it doesn’t matter, it was just an idea. I’m currently playing around with the 3dBulge code with live data, but I’d like to move to historic data eventually. Realy interesting Feed from great deep and a ver large shallow chamber! Will be interesting to compare with the plugged Barda! Excited by silence!?? From.climat discussion now back to Iceland. Now silence all over the place. Is this real or interrupted.data feed? If real, the periodic silence and activity is very exciting. What mechanism could explane the variation? Hang up in the spreading? Fluctuations in the plume flow? Planet X lurking behind the moon? Interrupted data feed it seems. Now a lot of activity vissible att times with previously empty lines. The planet X explanation would be much more interesting! There was a small swarm today SW of Grimsvotn. Deep and M1-M1.5. That qualifies as exciting! And a generic bottom up view from SE. This is excellent. 3Ds really help you grasp what’s going on. Thought. Dunno if you have the ability to specify the dot size based on a formula treatment of the magnitude, but it might be handy to scale the point size in relation to the area of the fault face. Wells-Coopersmith has a formula for deriving that based on magnitude…. but you have to make an assumption on what the mode of the quake is. Generally, you can assume magma emplacement is a series of mode 1 failures. In that case, “normal” mode faulting would be the assumption. The issue is that real world quakes have a variety if fault modes…. each one with a different formula treatment. The underlying idea being to get a visual grasp on dike and chamber placements from the overlapping of points. Not possible with this software and my coding skills. 😀 But Good idea. Don’t sell yourself short, you have good skills. Wrestling a peice of software to do your will, yeah, I can see the issue with that. But you’re turning out some fine plots. Obviously an exaggerated vertical scale. It would be quite interesting to see an equal scale for all the above. Much more difficult to interpret, but would show how close they really are. Mind you if stiffness and force required to move is factored in its maybe not so far off. Yes, for iceland as a whole, absolutely essential. Since I cannot embed my 3D plots into internet/website to rotate, I decided to test with video capture. For this video, I decided to 3D locate the deep dike that was/is occurring E/SE of Bardarbunga, near the “dead zone” that was presetn during the 2014 Bardar events. It is seen as the deepest batch of earthquakes, and is slightly out of the main Bardarbunga-dike line. The Bardarbunga caldera ring quakes are nicely seen and the whole “dike wall” of earthquakes going out of Bardarbunga. 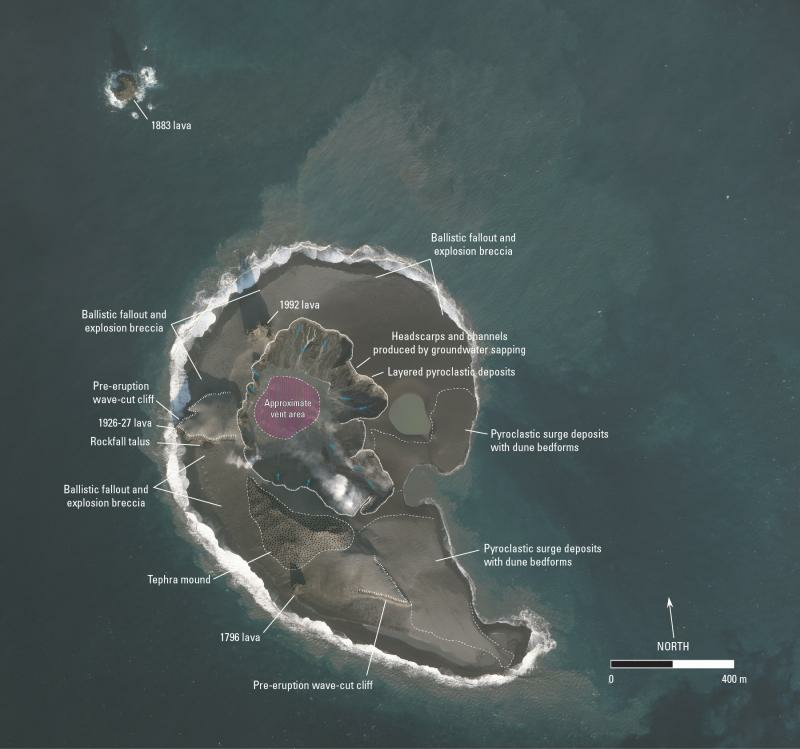 AVO has published an annotated map of Bogoslof, after last week’s eruption. The bangs are still continuing with further explosions yesterday. It will probably end with a lava dome forming at the eruption site, followed by rapid erosion of the pyroclastics. I guess that the birds will have a surprise when they come back to nest. Or worse if the eruption is still continuing by then. I did a calculation back than and I remember it was something like this: that a couple of months of SO2 of Holuhraun was comparable to 1 year of human liberated SO2. So not that much. Even though amounts were next to unbreathable in some days in Iceland in late 2014 (wind-depending). SO2 needs to be pumped into the stratosphere to cause climate disruption, otherwise its all washed by rainfall. Holuhraun had nearly null impact in global climate change. Let’s take up the challenge, but with considerable speculation. Over the long run, the CO2 would beat the sulphate. CO2 builds, while sulphate rains out. So you don’t want a long eruption, you want a brief but enormous one. So large that sulphate cooling allows ice to grow, and the reflection of the new ice pushes the climate into a much colder equilibrium. Toba didn’t do that (I should say that Toba was followed by a very cold 1000 year, but they are not considered related, although there are dissenting opinions). So you also want a very sulphate rich eruption. Other people will know more here: what makes an eruption particularly sulphate rich? So it would take a long series of large eruptions,explosive enough to inject large amounts into the stratosphere for a long time. One is not enough. Has it ever happened? Could it happen in our near geological time? What about if there was a particularly large (2,000km3+) explosive eruption during a trap event? I would think that would’ve happened at some point in the past because it’s unlikely there would be no VEI-8 eruptions in any given 1 million year period? From a bit of Googling around, to get explosive eruptions in trap events you need some silicic magma – e.g. from continental crust, associated with continental break up; or phreatomagmatic eruptions, so just add water. Sorry I should’ve said I meant an explosive eruption from an unrelated system (for example say a VEI-8 in the Andes while a trap event is happening in Africa), which you would expect would have happened during the very long trap eruptions like Siberia, because VEI-8’s happen about every 50-100K years, and trap events can last a million years. So as in a coincidence. Flood basalt is a big SO2 source. A large rifting event would produce a lot of SO2 – something like the Siberian Traps? No idea what the CO2 output would be. But they tend not to be effusive. Big flood basalts are more often associated with hot epochs. Can you make them explosive? Yep! If the trap event includes silicic magma e.g. Siberian Traps, or phreatomagmatic eruptions, e.g. the Emeishan Traps, there will be explosive phases. BTW Trap formation is associated with cooling. Some of the SO2 gets into the lower stratosphere – whether propelled by explosive volcanism or just gets there through sheer volume, I would not like to say. The issue with SO2 in the troposphere is that it converts to sulfate pretty quickly. Only the high energy injections from volcanoes can readily punch through to the stratosphere with ease. One alternative that I think may also be in play, is Carbonyl sulfide. OCS. It is relatively long lived in the troposphere and doesn’t readily dissociate until it is hit with U/V light. At that point, it can easily convert to sulfate. I think it’s pretty likely that it is the major contributor to background aerosol levels in the Junge layer. Pinatubo increased aerosols enough to lower temperature on a near global level for several years. .. If we had similar eruptions every three years for two or three decades would that be enough to tilt over into an ice age? The Aleutian arc going crazy for example..
Equatorial volcanoes affect worldwide climate a lot more. But to get an ice age, you need to cool the north so perhaps a mid-latitude northern volcano would do even better. Tambora caused a very cold year, but only one year. 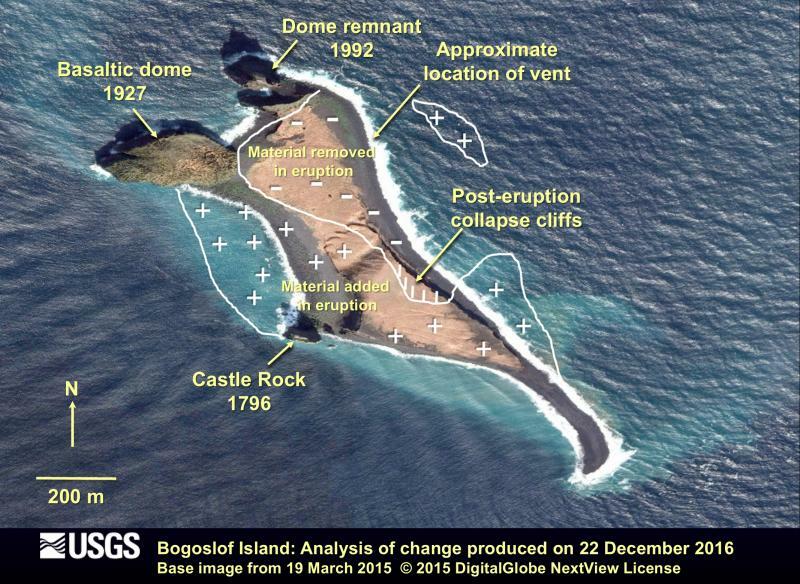 Llopongo managed a decade (with help from a mysterious but equally large second eruption). A reaction between calcium silicate in rocks, e.g. granite, water and CO2 removes some CO2 from the atmosphere. Source: Clive Oppenheimer’s “Eruptions that Shook the World” p163. That doesn’t help people who don’t think CO2 warms! This is related to weathering and erosion. True, but if there is enough CO2 then the effect would be a lot greater than the weathering we see now. CO2 only warms. There are gasses that can act as a negative greenhouse (they absorb visible light and let infrared through) but CO2 is not one of these. Pluto suffers a bit of a negative greenhouse. The comment was made on this blog that CO2 only warms at low concentrations, but becomes ineffective at higher levels. That is based on the fact that it absorbs so efficiently, and already at low levels absorbs everything. But that doesn’t work either. It is the same effect that even a thin duvet absorbs all your body warmth – so in that argument putting a thicker duvet on wouldn’t help. Clearly it does. The more difficult it is fro warmth to get out, the warmer you get. Same for CO2 – the warming is pretty much linear to very high concentrations. The solution may eventually well be an efficient way to pull CO2 out of the atmosphere. Engineering on a planetary scale. There have been some pretty deep quakes below Myrdalsjokull in the last few days! Does anyone know whats happening in Western Turkey with the earthquake swarm since midnight over 60 earthquakes so far today. Is there a Volcano there we should be keeping an eye on. ? Or could it be new movement in the African Plate ? A very dangerous place. It is along one of the Anatolian faults. There have been a series of damaging earthquakes, M7+, in the north of Turkey, starting in the east and migrating west. Turkey is moving west with respect to Eurasia, and the quakes are on the border. The current quakes are a bit further south. The next damaging earthquake will likely be north of this location, possibly south of Istanbul. But it is not directly related to this swarm. All quakes at Katla since 2011 till yesterday. (Stars are the same as IMO stars M3.1 and beyond). Coloured by depth in meters. And locations of mag 2+ quakes. And again views from east and south, but this time with all quakes from 2011 to 2017. But more important, this time the vertical axis is up to actual scale. And a top down view to give you an idea of the area extent. Pretty much just the caldera area. One thought on CO2 levels. Seen some graphs that show: before 1958, ice-core data has been used; and, after, data from Mauna Loa Observatory has been used – the latter shows an abnormal increase. Mauna Loa is an active volcano. Has the same increase CO2 observed at Mauna Loa been observed elsewhere? If not, perhaps Mauna Loa is cooking up something?